Syrup is one of the simplest things I have learned in culinary school. There is a basic formula I follow and from there I tweak it to have the flavors I want it to have. You can also add a bit of corn syryp as a stabilizer, too. It just keeps it from crystalizing so fast. DO NOT STIR IT!!! That means that you put the water and sugar in a pot and bring it to a boil without once putting anything in contact with the mixture at any time during this process. Alton Brown gives some great tips on this, too. You can use a pastry brush dipped in water to wipe down the sides of the pot but DO NOT let the brush come into contact with the mixture in the pan. You can also cover the pot so that the sweat will self clean the sides of the pan as it boils. What I do is the pastry brush method because I want to see when the mixture comes to a boil. At the very point the sugar, lemon and water come to a boil I time it for 2 whole minutes and let it just boil away for that time. Once the two minutes is up then I turn the heat off. At this point I can add the flavoring and a bit of butter if I want (butter is optional but gives a great flavor). 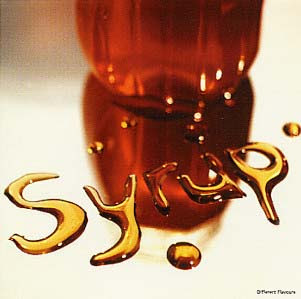 You can add things like lemon flavoring, maple flavoring or vanilla for a basic pancake syrup. Whatever you fancy is pretty much the rule on this. Now, if you are making a fruit syrup things are a bit different. I have a strawberry fruit syrup recipe here that you can alter for blueberry or other berry syrups. I would personally strain seeds from any and all of these. These are great on pancakes and crepes and such, too. You are SO VERY welcome!!! :) Your wish is my command.